I think my first experience with an electric stovetop and aluminum pan was when I moved out of my parent’s house and got my first apartment. I’d been cooking on gas and with cast iron from the age of 11. Like a lot of things, I never really appreciated the difference until I got stuck with the crummier option. I more or less learned to cook when I was in Boy Scouts, on a propane-fueled stove, and with a nice heavy cast iron skillet. From pancakes and eggs to baked desserts or grilled cheese, I always cooked in cast iron. Cast iron is easy to care for (don’t let it scare you) and a pleasure to cook with. Because of its ability to retain high, even temperatures you can be sure that any steak you’re searing or chicken your deep frying will turn out perfectly! Utility: sear, bake, brown, fry… cast iron can be used for just about anything! There are a few things to keep in mind when cooking with cast iron, however. Even though the care of your cookware really is simple, it is very important to make sure you don’t skimp on the process. Care for your cookware and it will care for you! After an hour, turn the oven off and let the skillet cool inside the oven. 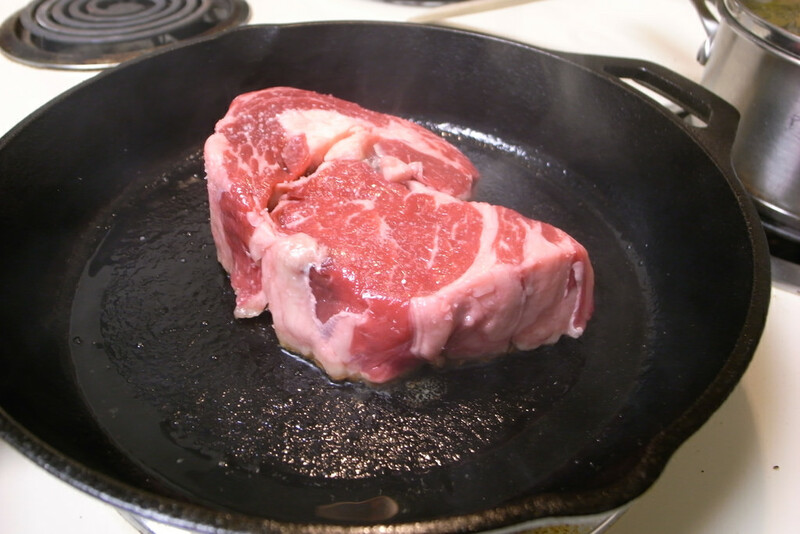 Your cast iron skillet is now seasoned and ready for cooking! Good luck! This entry was posted in Beef, Chicken, Cooking, Eggs, Food, Health Tips, Healthy Eating, In the Kitchen, Recipes and tagged Bake, Cast iron, Cook, cooking, Dinner, Seasoning, Skillet. Bookmark the permalink.